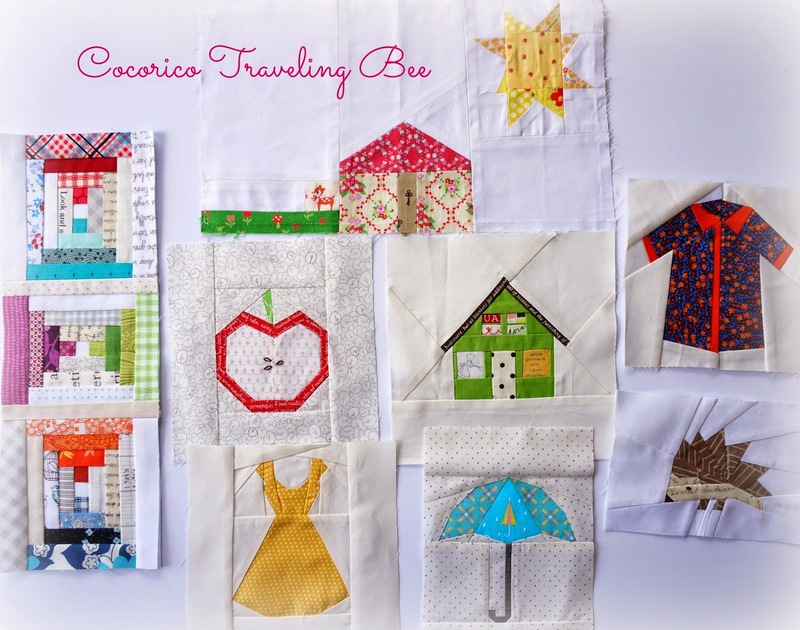 Two of the gals from the Cocorico Paper Piecing Quilt Bee are joining me for a traveling quilt bee. It is basically a round robin. 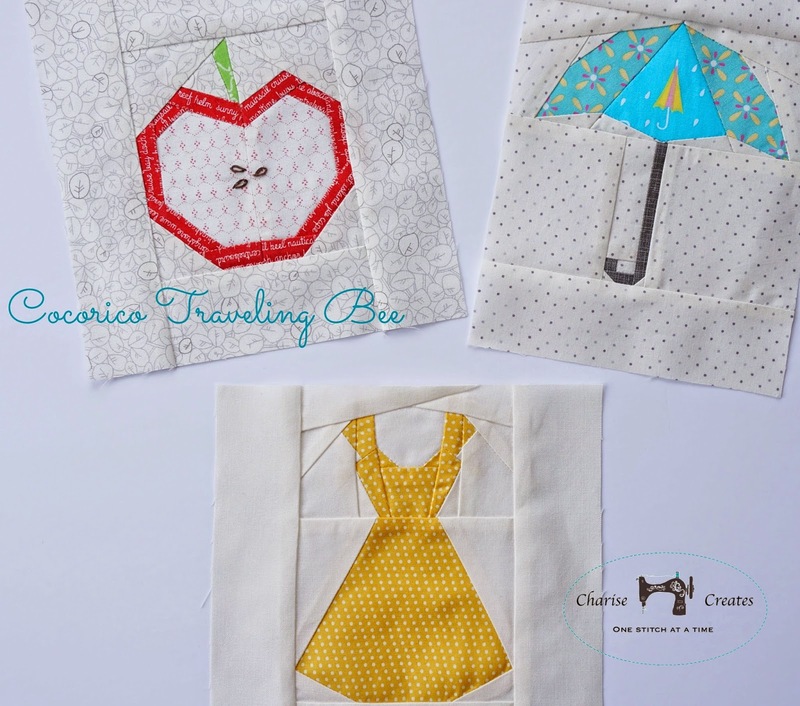 We each make a few blocks to start the quilt and then send them on to the next person. They make blocks adding to the quilt working within the theme. I received Melinda's start of her quilt - "Itty Bitty and Bright". 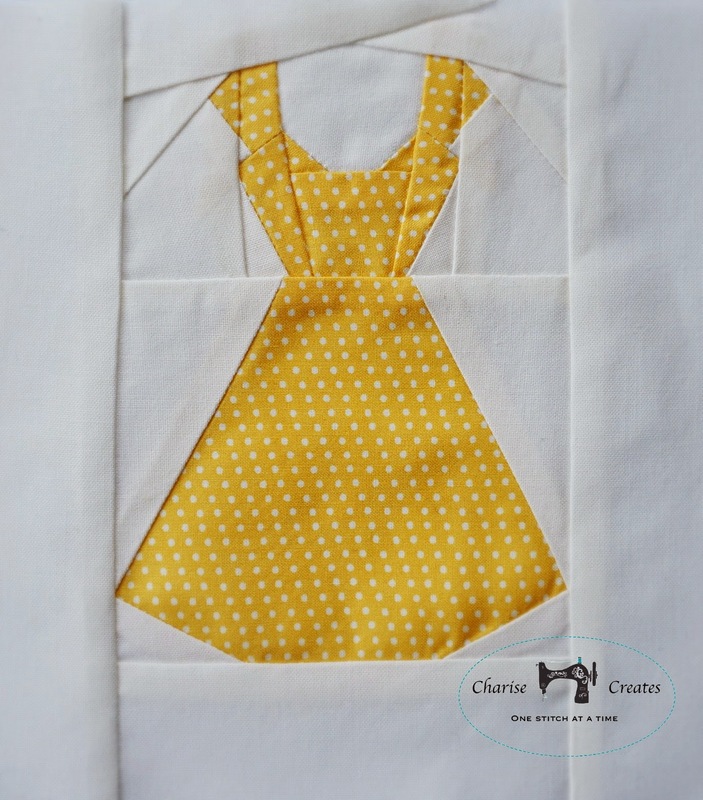 She is making a quilt consisting of small 4 -5" small blocks surrounded by low volume fabrics. She provided a great Pinterest board full of inspiration. 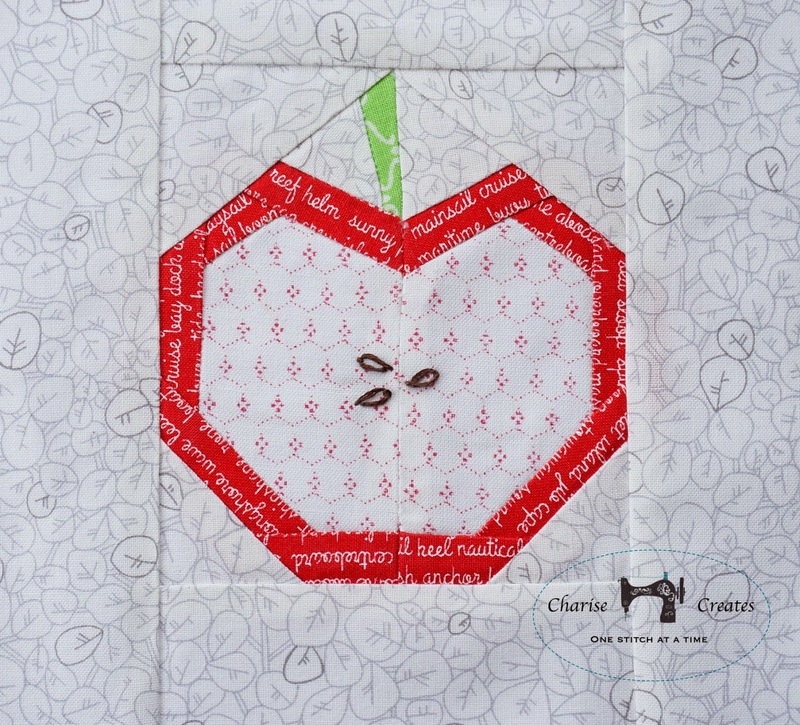 I decided to make my apple block. 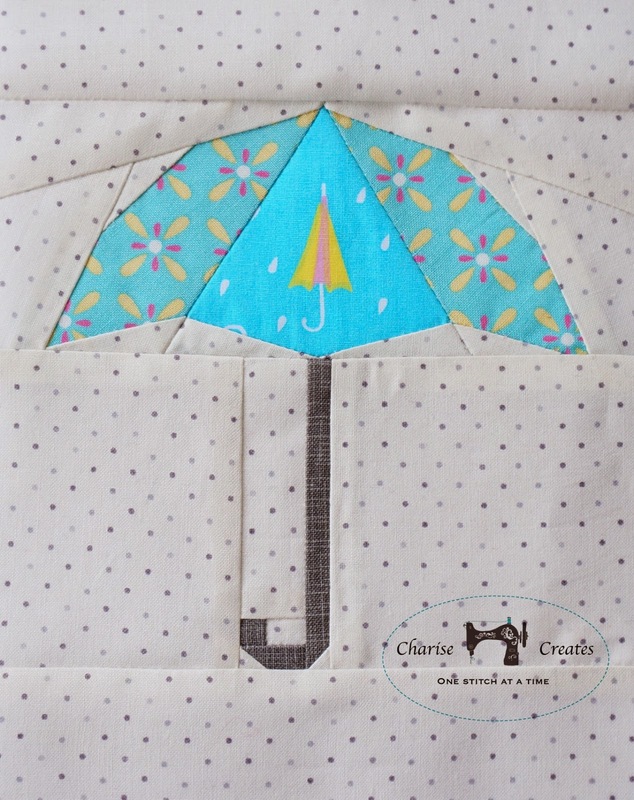 The Umbrella is designed by Leila for the book "Playful Little Paper Pieced Projects". I reduced the block size by 50 %. I made my Vintage Dresses Pattern and also reduced it by 50% so it is a wee 4 1/2" tall. It was fun to make these little blocks and they went together fast and easily. My plan is to make four more! You always amaze me with your lovely creations! 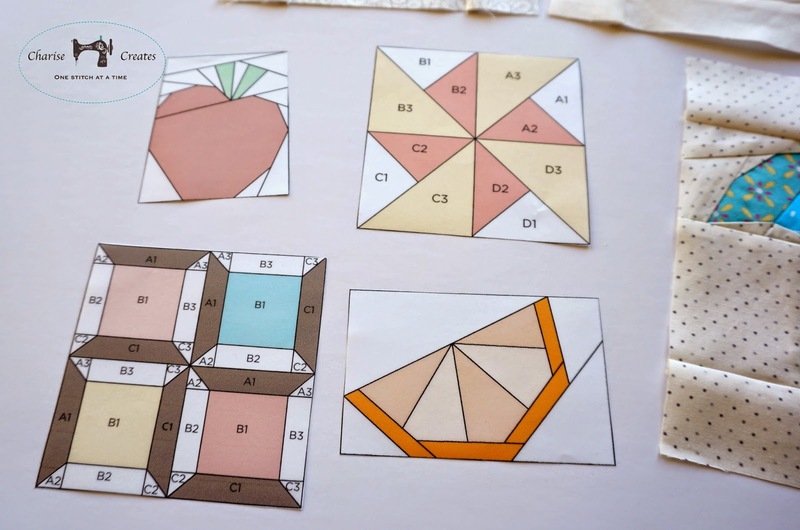 Some day, I will try foundation piecing. I just LOVE your blocks!! These are so cute.I will have fun with this one too! I have to go work on your quilt some more though first!! After purchasing your vintage dress patterns I've been obsessed all week making each of them. This is my first plunge into paper piecing and I'm improving my technique w each one. Loving it and your blog tutorial w great tips. Thank you !! !